Meet Christine Liebich, an artist specializing in steel and lacquer media. by German artist Christine Liebich. 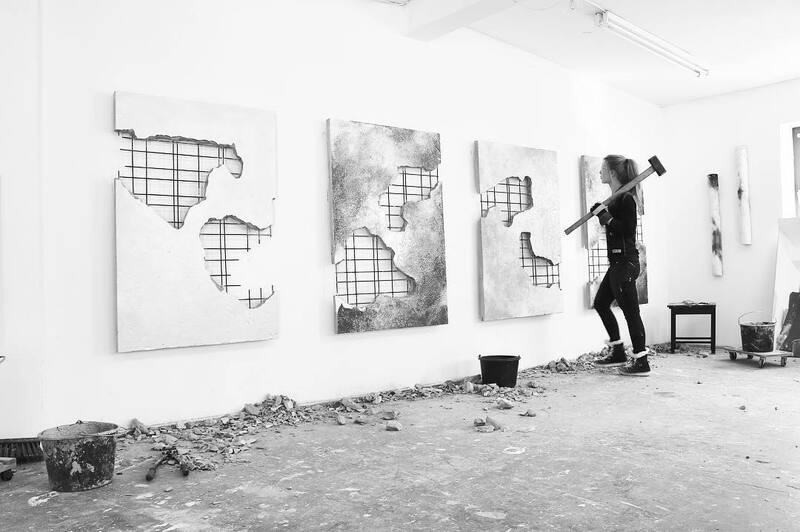 Using steel rods to construct net-like structures that she pours into cement. On the resulting surface it paints delicately with lacquer, then it is partially removed again in sculptural manner with iron. Her artistry is truly one-of-its-kind. Check out her work in the gallery above and support!